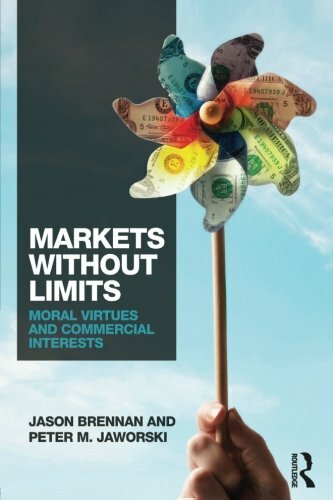 In the opening book of Wealth of Nations, Adam Smith observed that the division of labor, perhaps the central phenomenon driving economic development, "must always be limited" by the extent of "the power of exchanging," or, "in other words, by the extent of the market." Here Smith was primarily pointing to the numbers of people or geographic limits of the market. The more people and nations that could exercise the power of exchange, the more the market would facilitate specialization and the division of labor. Where Smith focused on what might be called the quantitative limits of the market, more recent economic thought has often focused on the qualitative limits of the market. Rather than simply worrying about how those in developing nations might be connected to global circles of exchange or how nations might more efficiently trade goods and services across and within national borders, Nobel Laureate in economics George J. Stigler described economics as the "imperial science." The imperialism of economics consisted not so much in that the market would be extended to cover the peoples and nations of the earth, but in that all aspects of the lives of peoples and nations would be explained in economic terms. "The very nature of economic logic invites a sweepingly wider application of economic analysis to social phenomena," said Stigler. Where classical political economists had tended to exclude institutions like the family, for instance, from the scrutiny of economic analysis and instead merely assumed their existence or relegated their study to other disciplines, later economists like Stigler and Gary Becker applied economic models, particularly rational choice theory, to a wider and seemingly limitless variety of "social phenomena."